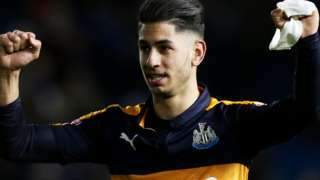 Newcastle score twice in the final 10 minutes to come from behind to beat Championship promotion rivals Brighton. Thanks for joining us - we'll be back tomorrow at 06:00 GMT. In the meantime you can still get in touch on Twitter , on Facebook , or by sending us an email . Alex Stedman was diagnosed with testicular cancer earlier this month. The 22-year-old works for Crawley Town FC and footballers across the country have been helping him raise money for charity. Alan Kingshott was born in Newhaven and he's about to move back to the Sussex coast to enjoy his retirement. But in recent years he's been living in the Tower of London as Chief Yeoman Warder, effectively the Tower's top Beefeater. 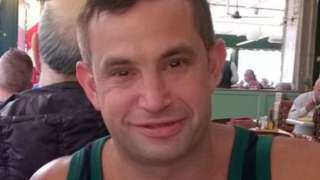 Andrew Apperley was found dead after a Full Moon party on the island of Koh Samui. Funding for lifeguards at Camber beach has been approved by Rother District Council after seven men drowned last summer. It will be wet and cold tomorrow. Watch my forecast to find out more. A council is planning a huge infrastructure strategy to meet the government's demand for new homes. Meet Steve Williams, a Littlehampton commuter so fed up with Southern he wants to start his own train company. You can see the full story on tonight's episode of Inside Out South East on BBC One at 19:30 GMT. Postman Lee Chapman says he was left "broke" after his brush with fame as a Jamie Vardy double. The train driver's union Aslef says talks to try and resolve the dispute about driver-only operated trains will begin again on Wednesday. The talks with Southern rail won't involve ACAS, the TUC or the guards union, the RMT. Rail passengers travelling from the South East through London face disruption over the Easter break, as work continues to overhaul London Bridge station. There'll be no Southeastern services to or from Charing Cross, Waterloo East and London Bridge on Good Friday, Easter Saturday, 14 and 15 April. No trains will run to or from Cannon Street from 14 - 17 April. There'll also be no Southeastern trains at Deptford, Greenwich, Maze Hill or Westcombe Park over the whole Easter break. Services will also be affected during the bank holidays in May and August. This week sees the official start of Spring, but the weather's got other ideas. A teenager's been bailed again after being arrested over social media posts mocking Katie Price's disabled son Harvey. 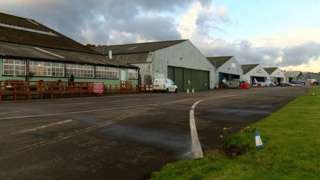 The 19-year-old man, from Newick near Lewes, was held after the TV star's 14-year-old son was targeted on Twitter. He's been bailed until 25 March while police continue to investigate. Are you owed money by Southern? If you had a Southern season ticket last year, and you haven't been told you're eligible for a refund, you should contact the operator now. Last December the government announced a one-off compensation scheme just for Southern's passengers, to make up for the severe disruption of 2016. You'll get a payout if you had season tickets for at least 12 weeks, between 1 April and 31 December. Southern says it's already contacted passengers who qualify, but if you think you do and you haven't heard anything, you can check here . The chief executive of a hospice in Brighton is warning hospices need more time to adapt to budget cuts. It's after The Sussex Beacon, which cares for people with HIV related illnesses, had its funding cut. Brighton's i360 is likely to be grounded until Wednesday after it failed again on Friday leaving passengers stranded. The owners have a ordered a new part and say they need time for repairs to be carried out to a damaged data cable. Anyone who's booked tickets for today and tomorrow will get a full refund or alternative flight. Brighton and Hove Albion manager Chris Hughton insists tomorrow's visit of Newcastle hasn't got any easier despite results at the weekend. The Seagulls' impressive win over 4th placed Reading, and draws for Newcastle and Huddersfield, means the Albion have replaced Newcastle at the top of the Championship. They're six points inside the automatic promotion places with 13 games left, and ahead of the Magpies by a single point. You can read the full match report from Saturday's game here . All the build up to Albion v Newcastle begins in BBC Sussex breakfast with Neil Pringle tomorrow morning.